Published Feb. 11, 2019 at 4:27 p.m. The 53rd annual Shamrock Club of Wisconsin St. Patrick's Parade takes place on Saturday, March 9. 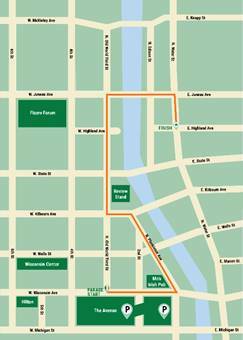 This year's parade is presented by Miller Lite and will step off at noon at Old World 3rd Street and Wisconsin Avenue and finish at Water Street and Highland Avenue. Join us for one of the best St Patrick's Day spectacles in the country and the grandest parade in Wisconsin. The Parade features more than 140 units and includes local politicians and celebrities, floats, bagpipes and marching bands, as well as Irish and Celtic organizations. It's the perfect event for the whole family, because on St. Patrick's Day, everyone is Irish! For more information on the parade, please visit the official parade website here.